Spreading magic from Porto to the world. Our founder, Joana Galvão, met Brigit Esselmont at Tropical Think Tank in the Philippines. It wasn’t until Joana got back that she realised Brigit had spent the last 5 years growing her own Tarot Empire. 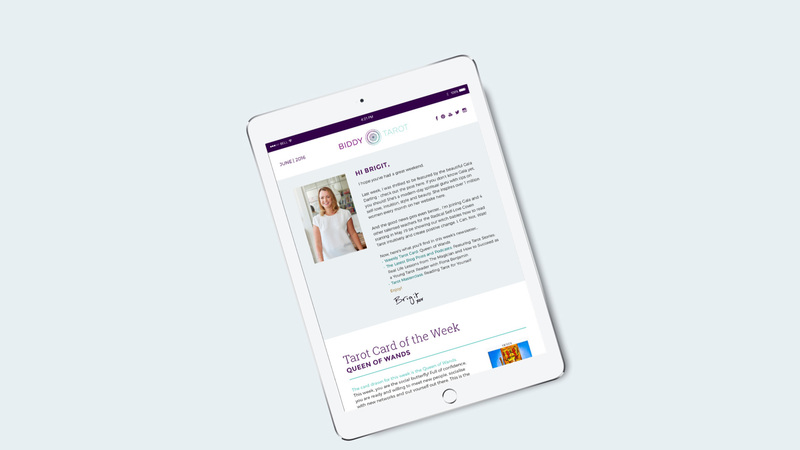 Not only is her website the top Tarot website in the english speaking world, but it also has millions of unique visitors each year. That’s when we decided to contact her. 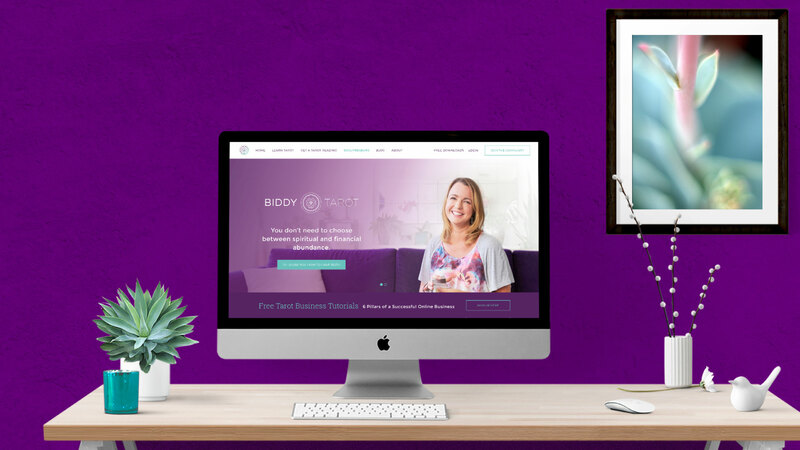 Brigit had started her website, filled with over 300 pages in 2007 and now was ready for a rebrand and fresh look. This is what we provided for her in the first phase of working together. 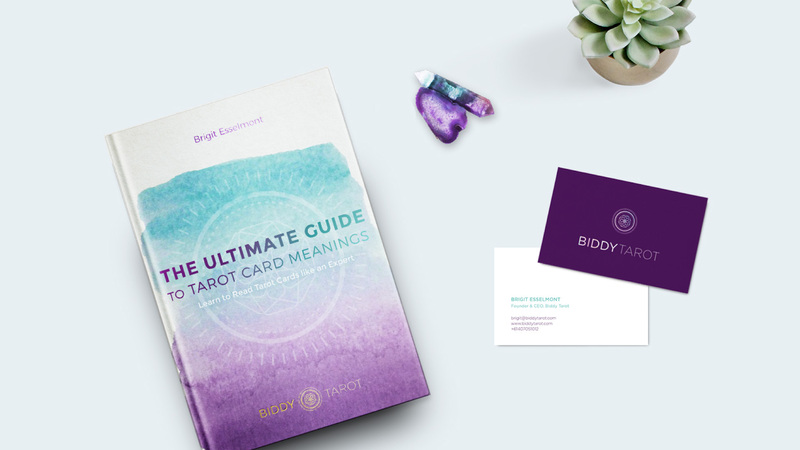 "The logo GIF Design Studios designed for Biddy Tarot is magical! The team tuned into our vision for the future and you captured the true essence of what we want to represent, bringing it together into a beautiful and unique design. Every time I see the new logo, I feel completely energised - it's in total alignment with where we're heading as a business. And the website Gif’s team created is divine - in more ways than one. 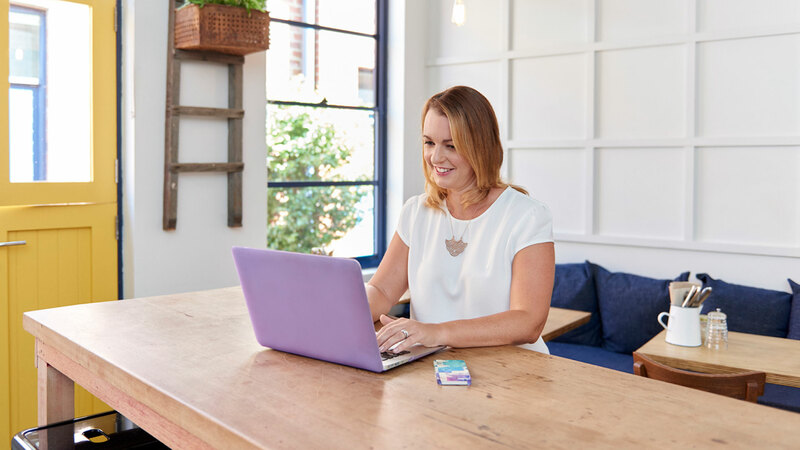 With the new, modern website design, we are one step closer to revolutionising the world of Tarot and creating a whole new possibility for people who love Tarot." 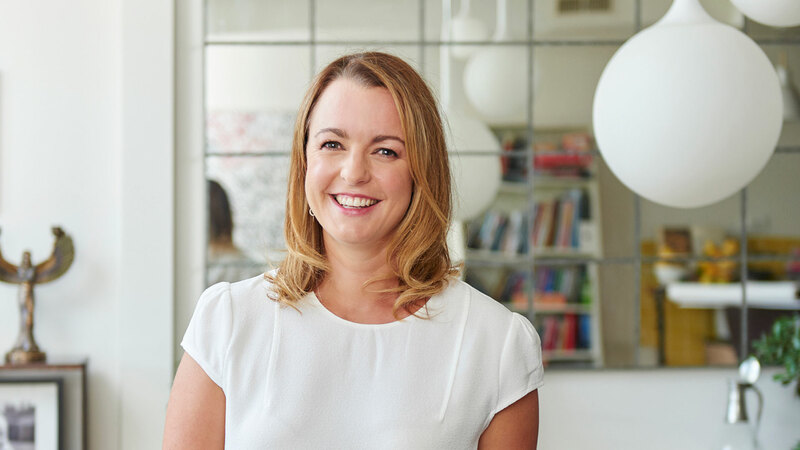 Brigit then had the idea of creating a community for Tarot Readers (professional and amateurs). 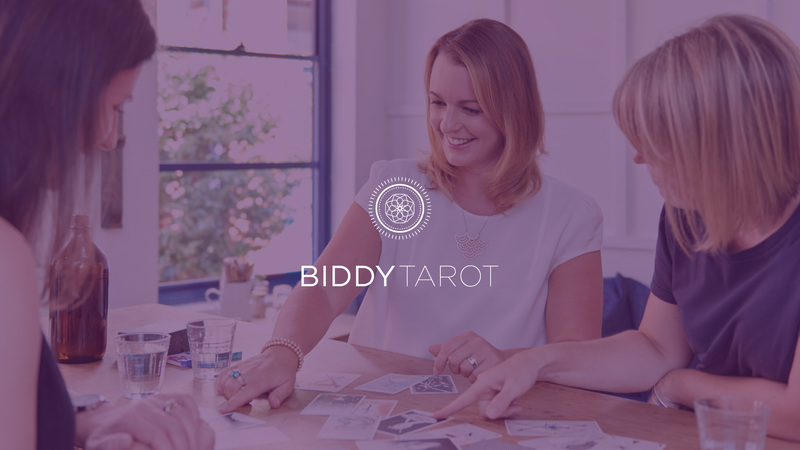 The Biddy Tarot Community is a modern learning community for people who want to improve their Tarot card reading skills and connect more deeply to their intuition in their day-to-day lives. The user pays a monthly fee, and gets access to join the forum to get help from other readers, take video classes, attend monthly webinars and much more. "I LOVE the new website!" 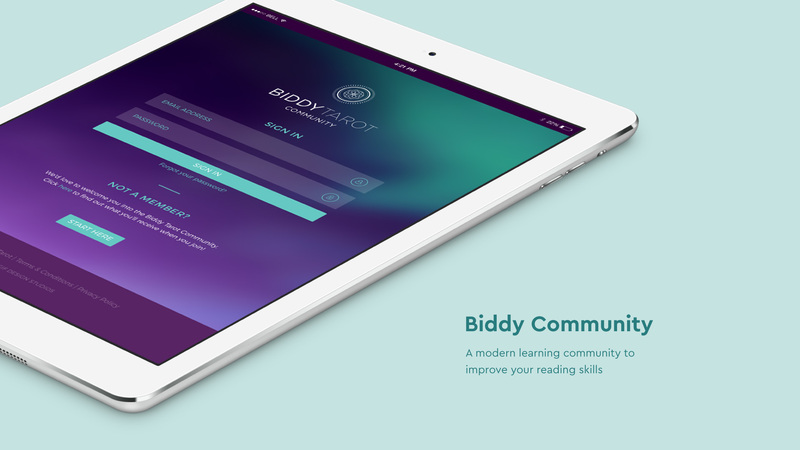 "I've been visiting BiddyTarot.com for a while now, since last Summer when I was introduced to the tarot. The site has helped me discover and learn all the wonderful things the tarot has to offer. And now today, I come back to the site to reread the definition of the Page of Wands and BOOM! I see such a beautiful, chic, modern webpage. I have been on the site for almost 30 minutes now just clicking through the site and looking at pictures. And then I see the Forum and now... I'll definitely be here a while." 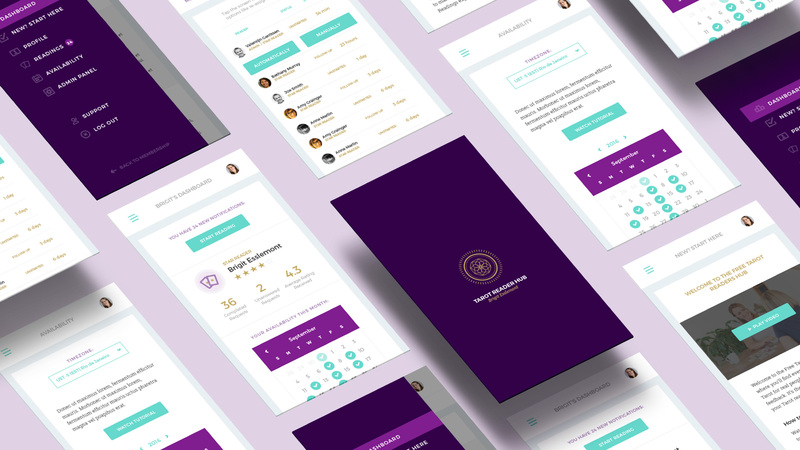 Finally for the community, to enable tarot readers to practice on each other and get feedback, Brigit had the wonderful idea of creating a software where the readers could log-in, give their readings, and receive their ratings. 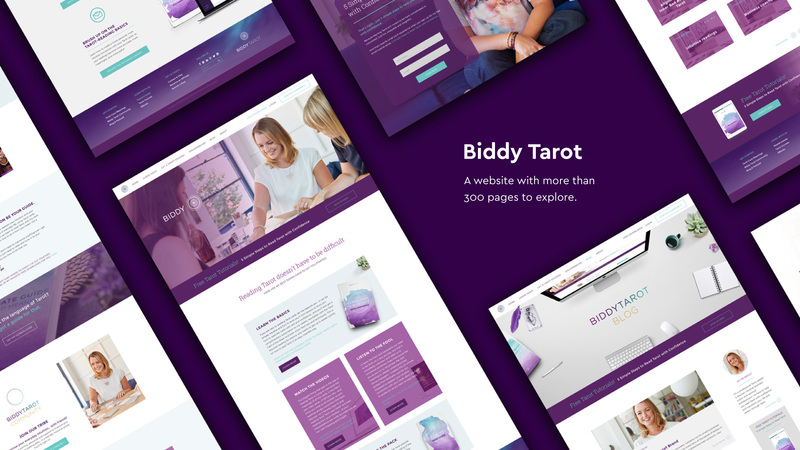 Whilst building out the user experience and design, we also redesigned the back end so it was beautiful and easy for the Biddy Tarot team to assign readings to other readers, manage how everyone is doing and give them award badges. 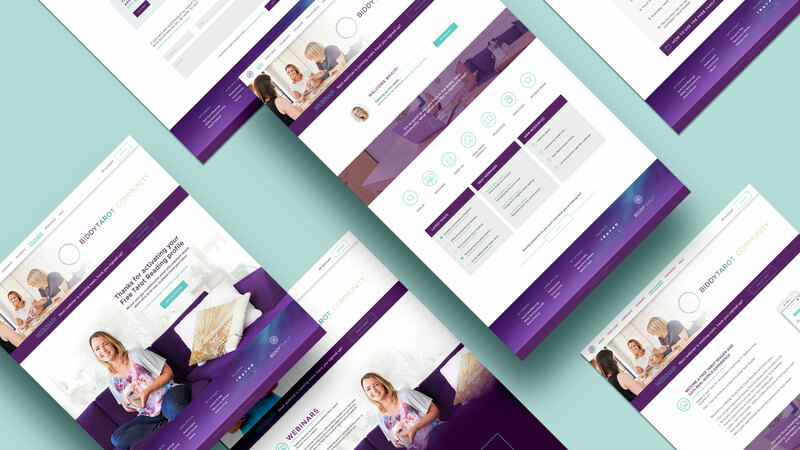 To make things even more challenging (and we love our challenges) it also had to look perfect on mobile and tablet, and at the same time, still have all the functionalities the hub has. 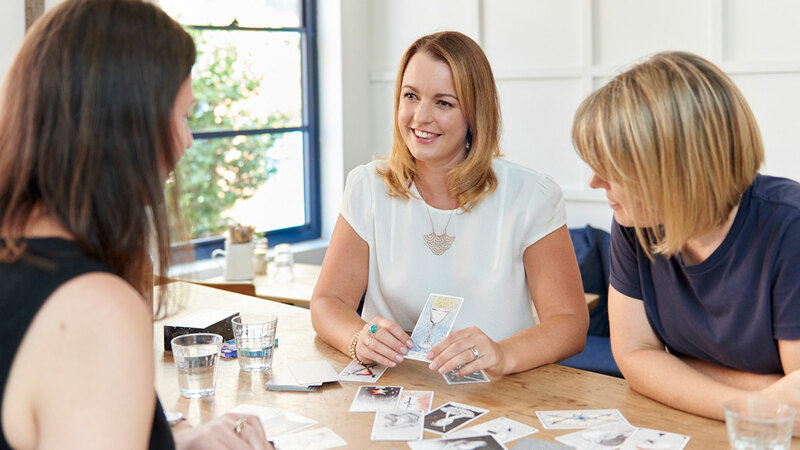 "When it comes to developing your Tarot reading skills, I’m all about making it a simple, intuitive and fun part of everyday life that anyone can do. No special psychic abilities needed! I also know that reading Tarot cards is one of the best ways to deepen your intuition in your daily life. That’s why I’m on a mission to make Tarot a normal part of everyday discussions about spirituality and wellness, like yoga or meditation. Because the way I see it, the more people who listen to their intuition and trust their gut… the better!"